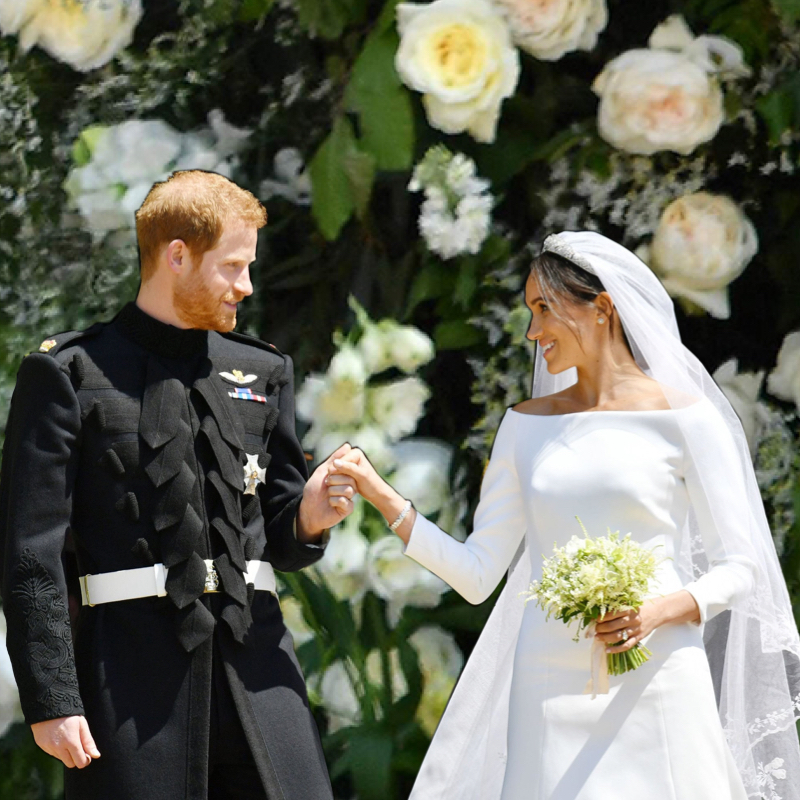 The Royal Wedding was more than a love story. Why is such a big deal about a wedding? This bride and groom – different from most couples getting married on a Saturday afternoon. Three things guaranteed to make this a wedding like no other. It would have been an ordinary, average royal wedding. One where the Prince marries another British citizen. No big deal. But the three things that stood out immediately made this wedding a must-see event. This wedding got more attention – because it was out out the norm for British culture. The Brits, known for being “stiff upper lip” types. “Keep calm and carry on” is their motto. Not showing emotion, upper crust, and being stoic. These are traits they expect of their society. For someone to come along and break this mold? Turn over their built-in-stone rules? It is out of the ordinary. And that brings the attention. The media played their part, too. The build up to the big day was enormous. So, of course we were going to watch. To see the bride, the dress, and to see the pomp and circumstance. Then we had the drama. The bride’s extended family provided the extra incentive to watch the event. The brides father side of the family added the soap opera drama. The father of the bride provided the last dramatic touch – will he, or won’t he walk her down the aisle? The many layers of unknown and suspense pulled us into the drama of the event. This fact guaranteed that this event would become a worldwide one, watched by many people. So here we are, a week later and there is still talk about this wedding. There were 2 billion people worldwide watching this thing. People wanted a spectacular event, and they got one. Now, what lessons can we learn from this special event that we can apply to business? Have an event that is out of the norm. Make sure that you show that is out of the norm. People see that this is something different, and that it is not the same old same old. Stay on point with your brand, and be true to who you are. Always be true to you. There may be walls or restrictions that you have to follow, but always put a touch of you into the message. Always put your personal stamp on it. That’s the part that makes you relatable and sparks engagement. This is the message that I saw in this wedding ceremony. The bride and groom took control of the event by sharing their message. They wanted to convey their personal messages and let the world know who they are as a couple. I wanted to point out these things to you to show that this is the way you get attention and stand out. Who would have thought this wedding would bring out lessons in how to build your brand? Yes the royal wedding has a message. Not only one of love, but to be who you are no matter the circumstances. When you find that you have limitations, let your personal touches speak for you. Always put your personal touch on your message. You will connect with your audience, and build a loyal following.